RESERVOIR DOGS, 1992. 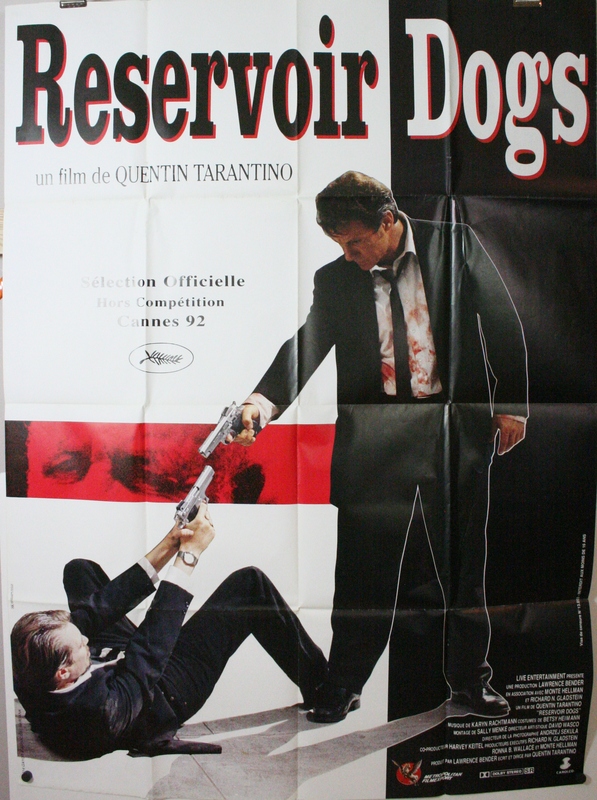 Original French 1P 1 Panel (45″ x 61″) vintage Movie Theater Poster starring; Harvey Keitel, Tim Roth, Michael Madsen, Steve Buschemi, Chris Penn writer and director Quentin Tarantino. Tarantino will be the definer of the most collectible posters from the 90s, get this original poster of the director’s first film! For the US 1 sheet Click Here. This poster is in very fine condition and has 1 or 2 pin hole size holes at the cross folds. Outside of this there are no major or minor defects to speak of.